Loving these Customized Pom Pom Jerseys $24.99 (Retail $51.99). 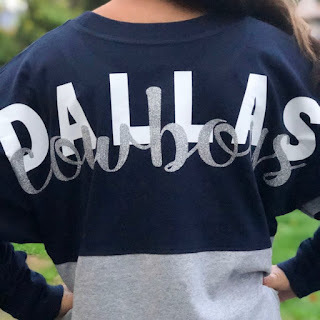 Customized your cozy pompom jerseys for your favorite team. High schoolers, college students and women alike would love to represent their teams with our personalized shirts! $4.99 for the first item and $2.99 for each additional item. US only. Ships no later than Fri, Sep 7.